You want to get married in Waiheke Island or at an Auckland venue, but you want to keep it casual and you love street food! 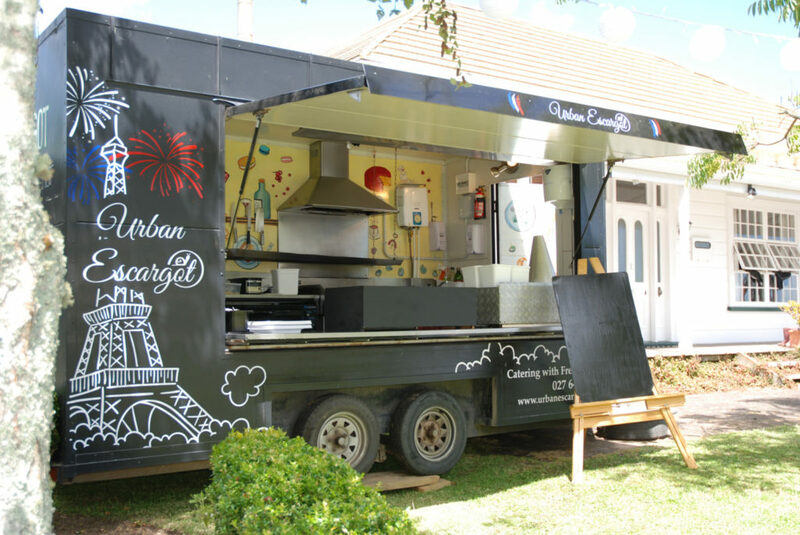 This is what I can offer you; out of my Urban Escargot food cart, I can go to any location, and cook for up to 700 people (we actually did 2500 serving a day at the end of RWC2011 at Queen’s Wharf !). 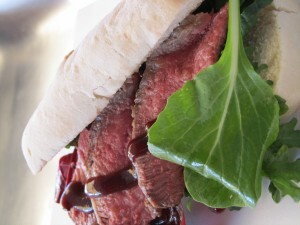 I’ll put my food truck on the ferry and come to an Auckland location or you can choose somewhere beautiful on Waiheke. Escargots (cooked in their shells), Venison Burger (with my very special mango salsa), Ribeye Steak Ciabatta (with Chumichurri sauce), Snapper fillet (on a nest of couscous with saffron aioli), Potato Roesti, Crème Brulée, Sorbets, Chocolate Truffles…etc. For the complete menu, check my Food Truck Wedding Catering Menu! This is also a more economical way to get some great food without to much fuss! Call me for pricing, or discuss your Wedding Menu ideas.